Dentons - Review of foreign investments in the European Union on grounds of security and public order: a fair balance between market openness and defence of EU interests? Foreign Direct Investments (FDI) are investments by private individuals, commercial entities or governments, aimed at acquiring and/or controlling a business or property outside of their home jurisdiction on a lasting and direct basis. The hallmark of FDI is the lasting and direct acquisition of a business or property, thus distinguishing FDI from the indirect acquisition of business or property, for example by way of portfolio investment. In the case of the European Union (EU) and its Member States, FDI come from third countries which are not members of the EU. Accordingly, since much of the EU’s economic growth is generated by foreign investment, it is in the EU’s interest to remain an attractive destination for FDI. However, recent experiences have also pointed to what is increasingly being perceived by some as an inherent risk in connection with FDI, i.e. the security concerns for handing over control over certain key or sensitive economic sectors, some of which could be of vital strategic importance to the national interest of Member States, or could even be of strategic importance to the EU itself. A notable example took place in the fall of 2016, when an €800 million investment by the Chinese state-owned State Grid in the Belgian energy grid controller Eandis ultimately did not go through because of public concerns that broke out after a letter of the Belgian State Security Service outlining a connection between State Grid and the Chinese government and military. The letter was leaked to the press, sparking a debate on the risks of industrial intelligence and strategically important technology coming into the hands of foreign governments. Recent experience, as well as considerations for better predictability for economic operators, suggested the appropriateness of a legal framework and mechanism at the EU level for review of FDI. The European Commission (Commission) has decided to take this up, responding for calls from Member States, including France, Germany and Italy, and the European Parliament for legislative action. On the same day, 13 September 2017, the Commission made public its proposal for a Regulation establishing a framework for the screening of FDI into the European Union (the Proposal).3 Both the Council of the EU and the European Parliament will be involved in the legislative process following the Proposal, and accordingly, the resulting Regulation is not expected to be adopted before the end of 2018 at the earliest. The contents of the Proposal can be distinguished, on the one hand, by measures for the strengthening, consolidation and coordination of existing Member State screening mechanisms, and on the other hand, by the increased powers given to the Commission to screen and prohibit foreign investment impacting assets or projects of EU-wide interest. Under the Proposal, the Commission aims to allow Member States and itself to screen FDI. The Proposal sets out a non-exhaustive list of criteria which can be taken into account when screening (including prohibiting and unwinding) FDI, including effects on (i) critical infrastructure such as energy, transport and finance, (ii) critical technologies such as artificial intelligence, dual use technology4, and cybersecurity, (iii) supply security of critical inputs, and (iv) access to sensitive information. In addition, screening authorities may, for the purpose of assessing whether security or public order are threatened, also take into account whether the investing entity is controlled or financially supported by a third country government, which presumably would be an aggravating factor. It is important to note that the Proposal does not oblige Member States to adopt FDI-specific screening mechanisms. It does however provide a framework for such screening mechanisms. This means that Member States that have already introduced such mechanisms may keep in place the existing measures;5 however, they must ensure that the principles of transparency and non-discrimination are duly reflected in their FDI screening mechanisms. In particular, Member States wishing to screen FDI will have to provide for timelines within which they must complete the screening, and they must allow investors to appeal before the national courts any decisions within the scope of their FDI screening mechanisms. Member States must also guarantee the confidential nature of any information provided for their screening purposes. In addition to procedural safeguards, the Proposal provides a framework for cooperation between Member States and with the Commission. Under the Proposal, Member States are required to inform rapidly (within five business days) the Commission and other Member States about any FDI that are undergoing national screening. Such information sharing is intended to raise awareness for perceived risks, as well as to enable in-depth discussions and deeper coordination between authorities across the entire EU. In addition, the Proposal allows the Commission to screen and prohibit independently any foreign investment likely to affect “projects or programmes of Union interest” on the grounds of threatening security or public order. The scope of this provision is not defined at this stage, but the Proposal clarifies that these shall include in particular projects and programmes with a substantial amount or significant share of EU funding, or which are already covered by EU legislation on critical infrastructure, technologies or inputs. An “Annex 1” containing an indicative list of such projects is to be added to the final Regulation, however, the Proposal already refers as examples to the Galileo and Horizon 2020 projects, as well as the Trans-European Transport and Energy Networks (TEN-T and TEN-E). Under the Proposal, the Commission would be entitled to initiate FDI screening measures when it considers that the investment is likely to affect such projects and programmes as set out above. In those cases, the Commission may also address an opinion to the Member State concerned. The Member State in question is under the obligation to “take utmost account” of this opinion, but is not bound by it. Nevertheless, if the Commission opinion is not followed, the Member State concerned is under the obligation to explain its reasons. Having gone through a number of recent experiences which have raised practical issues with the nature of foreign investments, the EU, which is the world’s largest recipient of FDI, is now putting forward a legislative proposal under which FDI are studied in-depth on an EU-wide scale and can be prohibited if a threat to EU security or public order is identified. As such, the most important feature of the Proposal is that most decision-making power remains at the Member State level, even though the Proposal does provide the Commission with more powers to control FDI having a potential EU-wide impact. The Commission’s wider possibilities to exert influence on Member States should also not be underestimated. 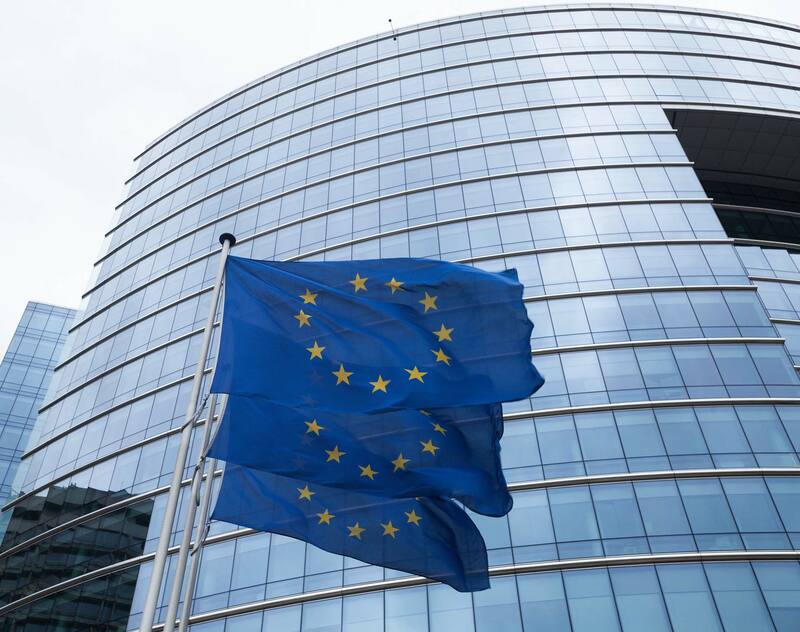 In making its Proposal public, the Commission has reaffirmed its commitment for the EU to remain an open, transparent and safe market for foreign investments, while at the same time has acknowledged its resolve to protect the EU’s strategic sectors and technologies for the purpose of safeguarding the EU’s security and public order, reminding that the EU can also be protective. In addition, it is likely that the future EU legislation on review of FDI would be enforced on the basis of reciprocity, so that countries that have been maintaining hurdles to EU investments in their territories may face obstacles imposed on their FDI in the EU. 1. See Commission Factsheet presenting the Commission proposal, available at trade.ec.europa.eu/doclib/html/156040.htm. 3. European Commission, Document 2017/0224(COD), Brussels, 13 September 2017. 4. Meaning technology which has both a civil and potentially military application. 5. Currently, twelve EU Member States have already adopted national FDI screening measures; however, the exact procedures and the scope of foreign investment to which it applies varies from Member State to Member State.